Striking World Championship dress designed by Celtic Couture. Less than 1 year old. Dress is in excellent condition. Attracts a lot of attention on stage. 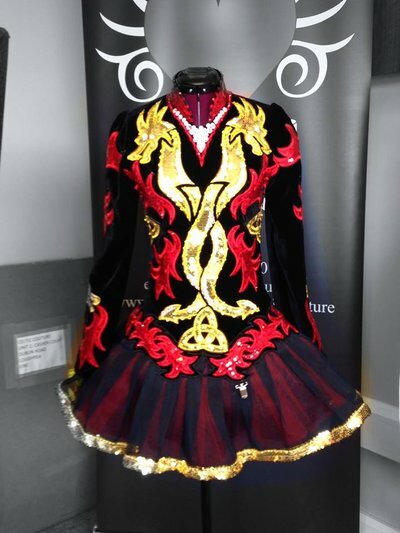 Current owner qualified for World’s and competed in this dress at the 2014 World Championships in London. Gorgeous Celtic dragons with flames creates a powerful color scheme and stylish and bold look for any dancer looking to catch the judge’s eye. Asking Price: $US1,500.00. Shipping costs are not included in the asking price. Sale is final.